Raymond S. Suckling donates $37 million, the second largest gift to The Pittsburgh Foundation. Pittsburgh, Pa., Jan. 24, 2018 – In life, Raymond Schubart Suckling was a dutiful engineering executive who lived simply, loved military history and cherished the legacy left by his parents. In death, the longtime Sewickley resident has become one of the region's most significant philanthropists, donating $37.1 million to The Pittsburgh Foundation, the second-largest gift in its 73-year history. The bequest, which was finalized in December, will provide annual grants of about $500,000 each to two charities named in his will: the Sewickley Public Library and the Sewickley Valley Hospital Foundation. The bequest also provides the same amount annually to the Foundation for programs and services under its 100 Percent Pittsburgh organizing principle – specifically benefitting low-income youth and families in the region around Sewickley. “Gifts of this magnitude are always very thoughtfully made. They serve as powerful testaments to the community foundation model and the compact between donors and staff that ensures their intentions will be honored beyond their lifetimes,” Foundation President and CEO Maxwell King said in announcing the bequest. Suckling’s extraordinary generosity is rooted in a donor-advised fund he established in 1993 in memory of his parents. The Suckling bequest is second in size only to the Charles E. Kaufman Fund, which was established in 2006. Kaufman, an inventor and entrepreneur, died in 2010 and left $50 million to The Pittsburgh Foundation, of which $40 million is earmarked for funding scientific research and innovation at Pennsylvania universities. The Sewickley Library, which was founded in 1873, has been in its location at 500 Thorn Street near the main business district for nearly 100 years. Executive Director Carolyn Toth knows the challenges libraries face in raising operating dollars. She sees the Suckling gift as a bridge to the future that will provide new tools, services and practices to be the community’s center for lifelong learning. The other named beneficiary, Heritage Valley Health System, is a $480 million integrated delivery network providing comprehensive health care for residents of Allegheny, Beaver, Butler and Lawrence counties in Pennsylvania, and in eastern Ohio and the West Virginia panhandle. Raymond Suckling, who died Sept. 29, 2014 at age 93, was a World War II veteran who worked as a mechanical engineer at Koppers Company until his retirement in 1985. On Dec. 28, 1993, with an initial gift of $6,000, he established the Raymond C. and Martha S. Suckling donor-advised fund at the Foundation in memory of his parents. Over his lifetime, Suckling donated a total of $670,000 to the fund and served as its primary donor-advisor, recommending dozens of grants totaling about $345,000 to Sewickley area nonprofits and others in the region, including WQED, the Cancer Caring Center, Salvation Army, Western Pennsylvania Conservancy and the University of Pittsburgh Cancer Institute. While Suckling was not married and had no children, his closest friend and companion in later years was Betty Hallett. When she died from cancer in 2002, Raymond continued his support of cancer-related causes. He also maintained close relationships with her sons and their wives, Buddy and Barbara of Pleasant Lake, Mich.; and Thomas and Hazel of Islamorada, Fl. Suckling loved travel and took many international trips, including a cruise on the Cunard Queen Elizabeth to England with a return trip from Paris by way of the Concord. 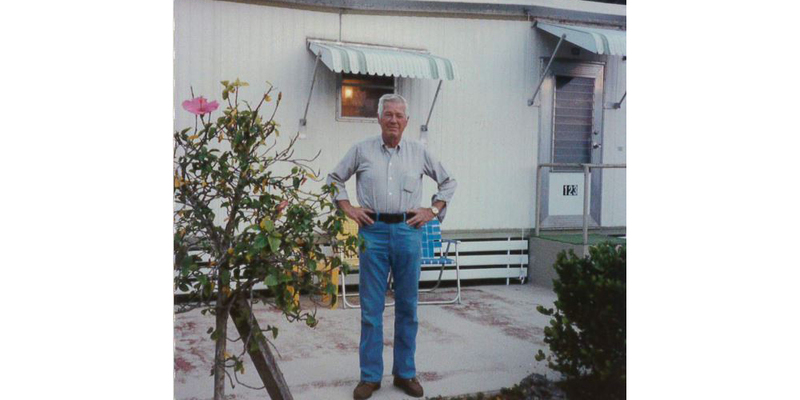 He and Betty Hallett took Wind Jammer cruises, visited the Panama Canal and climbed pyramids in Mexico. While the Hallett family knew he had financial resources, they had no idea of the extent of his wealth. They describe him as an unpretentious and deeply curious man who loved to read and engage people in conversations about their lives. Thom Hallett said Suckling’s simple living, smart investing and careful stewardship of the family enabled him to give back to his community to an extraordinary degree through the bequest. He remembers that Suckling always spoke with pride about contributions he made to the fund. The origins of Suckling’s wealth: Raymond S. Suckling’s wealth was largely the result of a substantial inheritance from his parents. 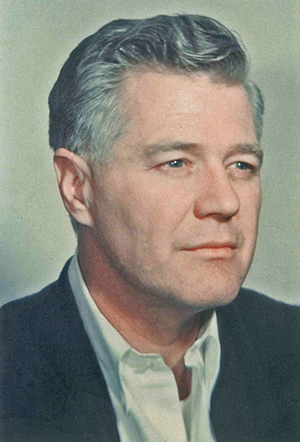 His father, Raymond C. Suckling, made his fortune first as an executive with Westinghouse Electric and Manufacturing Co., where he worked his way up from entry-level positions to assistant treasurer and then vice president. At the time of his death in 1934, he had been recruited to serve as president, secretary and treasurer of the Standard Steel Spring Co. Martha S. Suckling worked in the home, where she managed the household. She died in 1974.